After having about three days of torrential rain and thunderstorms in a row, we get presented with good weather! 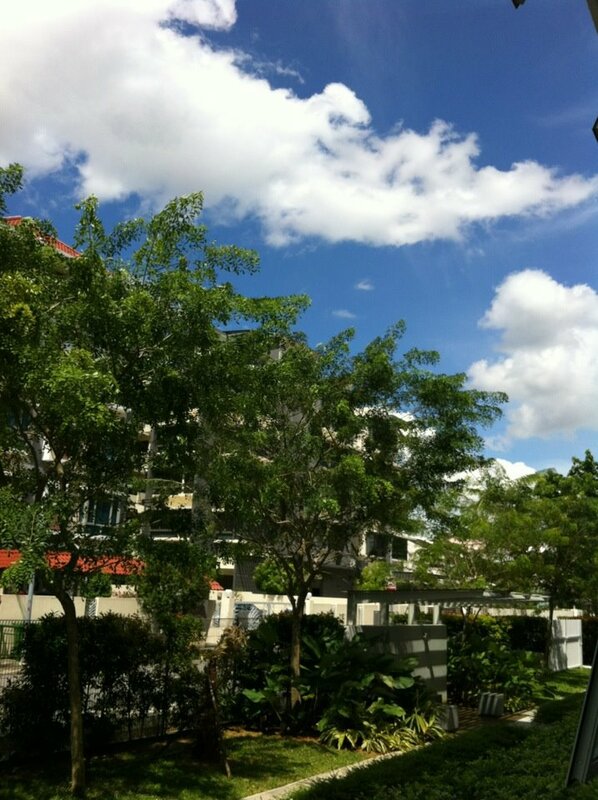 The sun is shining, the sky is blue, there a scattered clouds with a bit of wind. Something to cherish as it doesn't always come around as often as we would like. As Singapore is located near the equator, sunblock is essential on days such as this, otherwise we'll all burn to a crisp! This is the weather forcast for the next four days. It's back to "normal" weather from Wednesday. For more information regarding the weather in Singapore, check our this blog post by Leone Fabre, titled a bit about the weather in Singapore ! !